Hakone (箱根) is part of the Fuji-Hakone-Izu National Park, less than 100 kilometers from Tokyo. Famous for hot springs, natural beauty and the view of nearby Mt. Fuji, Hakone is one of the most popular destinations among Japanese and international tourists looking for a break from Tokyo. 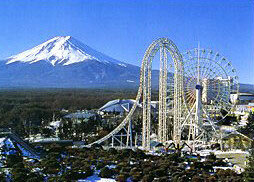 Fuji-Q Highland (富士急ハイランド) is an amusement park in Fujiyoshida, Yamanashi, Japan. The theme park is near the base of Mount Fuji. It has a number of roller coasters, as well as two haunted attractions. 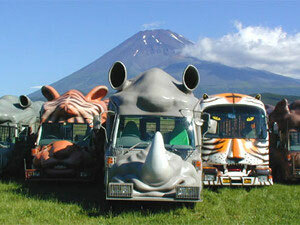 Fuji Safari Park, where many animals from around the world are living Freely, can be visited by your own car!! -Driver is not onry driver but also Tour Leader who has National qulification of Tour Leader. 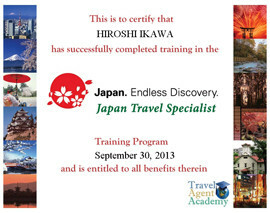 -etc.. We can cordinate everything you want in Japan! !